This extremely lightweight commode folds easily for storage and transportation. Manufcatured from sturdy steel, it features comfortable armrests and a soft plastic backrest for added comfort. 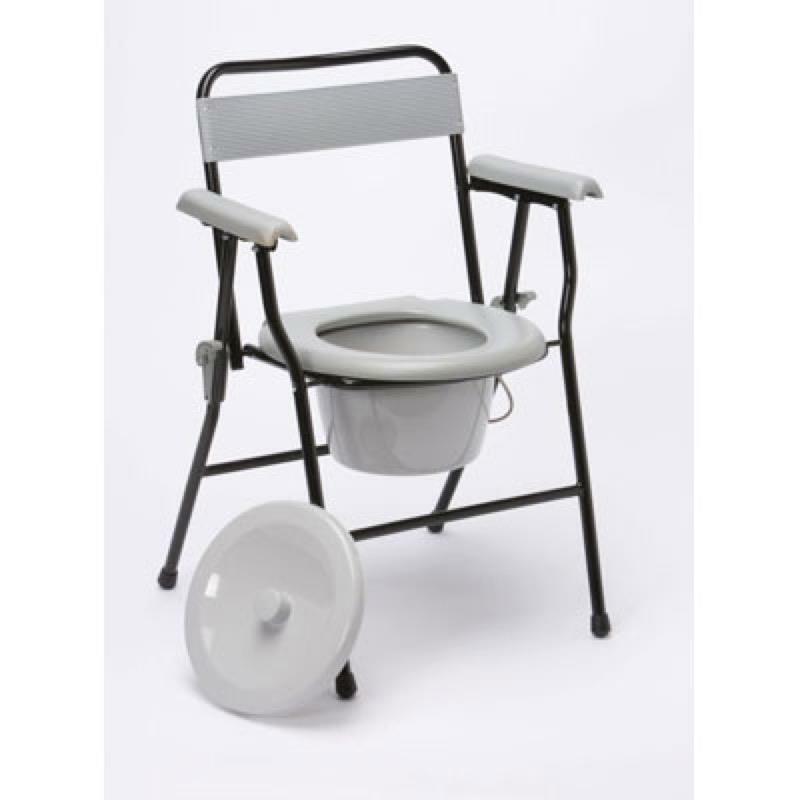 This extremely lightweight commode folds easily for storage and transportation. Manufcatured from sturdy steel, it features comfortable armrests and a soft plastic backrest for added comfort. The commode's 5 litre pan, with lid and handle, is mounted on a metal frame beneath the grey plastic seat. The back of the frame forms a backrest when in use and doubles as a handle when folded.